Mark Hamill is finally getting his star on the Hollywood Walk of Fame and William Shatner decided to sarcastically welcome him to the neighborhood. 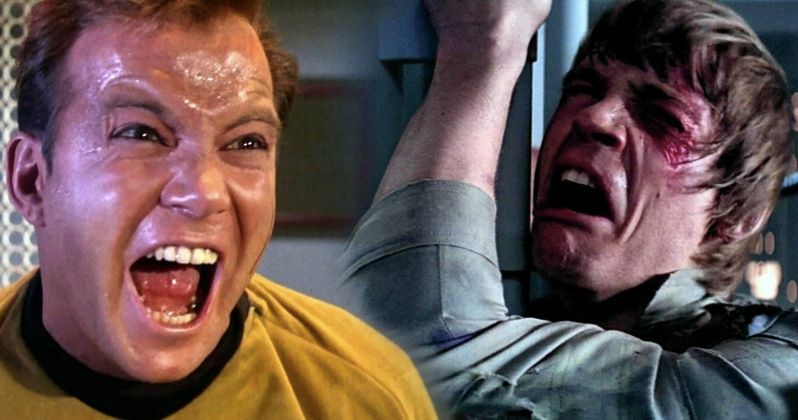 Shatner was awarded his star back in 1983 for his legendary work as Captain James T. Kirk on Star Trek and the 86-year old is out on social media sparking the Star Wars vs. Star Trek debate all over again with a joking message to Mark Hamill. Hamill took it all in good humor and gave William Shatner a fitting response. The news of Mark Hamill's Hollywood Walk of Fame ceremony was met with excitement from all over the world. Hamill's voice work over the years is enough to merit him the award, but his portrayal of Luke Skywalker in the Star Wars franchise sealed the deal, especially since he first started out as the iconic Skywalker over 40 years ago. Star Trek star William Shatner took to social media to jokingly welcome Hamill to the neighborhood. He had this to say. "Congratulations! BTW ask for a star on the south side of the street. I'm on the north side and don't want to devalue the neighborhood." William Shatner is obviously having some fun at Mark Hamill's expense and Hamill being the master of social media that he is, crafted an equally funny response. The Star Wars actor chose to use a bit of Star Trek's most famous line with a subtle twist. Hamill replied. "Thanks, Bill, It wouldn't be as special without a classic Shatner-burn from you! Live Long, But Get Lost- , mh." While some fans were excited to see two of their idols joking with each other on social media, several decided to take it to the Star Wars vs. Star Trek debate. While none of the comments are overly hostile, it is made known that the two world famous franchises should not mix. One Star Wars fan in the comments section of William Shatner's tweet suggested that someone should go compare the box office receipts between the two franchises to see which one has earned the most money. She said, "Devalue? Has he compared ticket sales between Star Wars and Star Trek?" The gif of President Barack Obama dropping the mic pops up a few times as well, for both actors. Another Twitter user was bored by the comparisons and said, "So Star Trek versus Star Wars could become the new North and the South? That would be great, folks standing on both sides, dressed up, hollering at each other. I'll just nap in the road, tho." Watching Mark Hamill and William Shatner joke around on social media was something that a lot of fans of Star Wars and Star Trek never thought they'd see, so the majority of people were excited to see them interact, albeit briefly, over their stars on the Hollywood Walk of Fame. But who has the edge in this joke? Shatner for creating it, or Hamill for bringing Star Trek into the mix and telling the 86-year old to get lost? We may never know, but in the meantime, you can check out the interaction below, courtesy of William Shatner's Twitter account. 🤣 Thanks, Bill. It wouldn't be as special without a classic Shatner-burn from you!